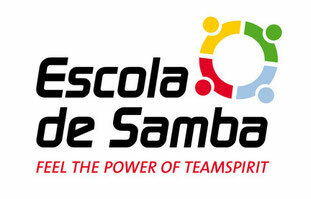 Power of Rhythm - escola-de-samba2s Webseite! Sometimes when we talking to new clients about appropriate teambuilding initiatives, we are frequently asked how we manage to engage the employees of our customers in our events. Often there are certain ideas in the HR departments that especially scientifically-technically oriented employees like physicists, chemists or engineers are not exactly open to such "amusements". Of course, we have developed our own techniques for this particular challenge (which we would like to describe in more detail in a conversation). In this context, however, a neurophysiological phenomenon is decisive, which I would like to have explained here best by a proven natural science expert (in his unpretentious way). n his outstanding work "Musicophilia: Tales of Music and the Brain" (2007), Oliver Sacks (best known for the book template of the award-winning film "Awakenings") describes many phenomena about the effect of music on our brain. Here is a short clip from a video series about “Musicophilia”, in which Oliver Sacks explains the special power of rhythm and why Music is dedicated for bringing human beings together in our need and ability to cooperate.